Image is everything when it comes to running a successful special events business, especially in the heart of New York City. If the walls of Shop Studios could talk about the many spectacular 'first impressions' this production company has had to pull off for its clients over the years, what stories it could tell. Once the site of a turn-of-the-20th-century gear factory, this otherwise subdued building on a quaint street in midtown Manhattan is now the home of a bustling 3,000-square-foot special events studio. Today, the historic building is the scene of extravagant parties and eye-popping multimedia extravaganzas hosted by a long list of Fortune 500 companies, celebrities and organizations of all sizes. During a recent video game launch, guests were greeted by projected game images flashing on a half-dozen 16 x 8-foot screens strategically positioned throughout the room. "Because this client is a top video game company, we had to win over a tough video gaming crowd," said Jacques W. Rosas, CEO and editor in chief, Shop Studios, which he co-founded in 1997. "These reviewers have seen it all and tried everything, but even they were mesmerized by larger-than-life game action popping out at them from multiple giant screens." In the middle of Manhattan's media district, Shop Studios specializes in helping its many household-name clients make a big splash with their target audiences and especially the media. One of the most unique aspects of the studio experience begins with the entrance on the ground floor. A huge antique freight elevator transports guests into another world, carrying up to 24 people at a time up through a classic brick elevator shaft lined with old glass windows to the event floors above. Shop Studios also provides production facilities for film/video/photography shoots, with an award-winning in-house design and production team inspired by chief creative officer Eric J. Steding. The facility has a lighting grid with more than 2,000 specialized lighting instruments, high-speed Internet access, state-of-the-art surround sound speaker systems, with high-definition television, DVD, computer and digital cable content that can be integrated with a fleet of ceiling-mounted Epson PowerLite 3LCD projectors to create stunning, larger-than-life environments. The projectors serve double duty for the studio by fulfilling business applications by day and a wide array of unique décor applications by night. "Whenever someone enters one of the many simulated realities we create through the use of Epson projectors that illuminate our studio's white walls, they can literally walk into a completely different visual experience everyday," said Rosas. "The projectors have quickly become critical tools that we use to multi-layer and add dimension to events such as product launches and other 'first impressions.' Through the use of digital imaging, we can create almost any type of atmosphere or environment our clients are looking for, which certainly adds dramatic visual impact." Rosas compares the effect to the "holodeck" stations of Star Trek starships, where images are projected to create any kind of simulated reality. Should a client need a less futuristic presentation, the projectors are at hand for the appropriate effect, such as the recent staging of an Ivory Soap contest or the launch of Benetton USA's spring collection. The projectors are ideal for a multitude of events and promotions to captivate Shop Studio's many stellar clients, including Microsoft, Procter & Gamble, Ralph Lauren, Ritz Carlton Hotel, Starbucks, Time Warner, Wal-Mart, to name just a few. Before the Epson projectors became an integral part of Shop Studios' business, the production company relied on traditional sets. "We had to deal with a whole other dimension of heavy work sets, building and painting materials, which is still part of our set and props department, but it doesn't always 'wow' our clients and their audiences the way the projectors do." Several of Shop Studio's six projectors are strategically mounted to the ceiling, blending into the décor while projecting images on large screens positioned for effect. Shop Studios staff controls the whole visual projector system through wireless connectivity. "We can instantly brand the entire space or use all the projectors at once to show either the same or different images, so you can be anywhere in the room and watch them," said Rosas. 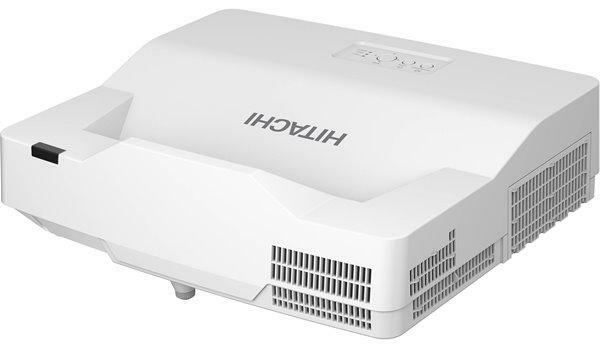 Projector models include the powerful and networkable Epson PowerLite 8300i and the Epson PowerLite 835p for high-speed wireless performance and brilliant image quality. "The projectors create amazingly sharp and bright images that we can view in all kinds of light," said Rosas. Incredibly bright screen images, viewable even in broad daylight on Shop Studios' terrace, illuminate the space. "I watch people continually react to the intense color and vibrancy of our image quality." The three-chip (3LCD) projection system produces not only dazzling brightness, but also razor-sharp detail, outstanding contrast ratios and true-to-life colors. Projector color quality is a vital concern for Shop Studio clients like Procter & Gamble that market mainstream product brands with market-tested colors. "When we brand the whole studio space for a client, the projected color has to exactly match a brand's color," said Rosas. "We never have to make any adjustments using the projectors." The Epson projectors have a much wider range of colors without the annoying rainbow-like flashes associated with other projector technologies. 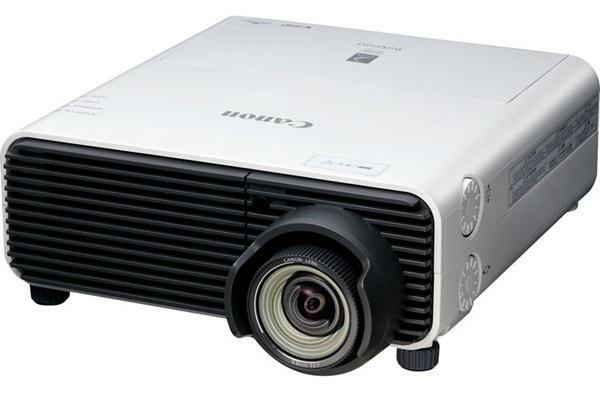 Another key advantage of the Epson projectors has been their unflagging reliability. "Because the projectors are essential to our multimedia production and design, they are put to the task almost everyday and can run for more than 2,000 hours without our needing to change the lamp," said Rosas. "It's unusual for a space like this to have projectors of this magnitude and power, but it pays off when we see how pleased clients are with the high quality images. We literally squeeze every ounce of work that we can out of the projectors on an almost daily basis, and we've been amazed at how well they meet our high-use demands." The Epson projectors have also proved to be an effective tool for new business meetings. When a potential client walks through the door, Shop Studios has planned the moment as dramatically as a major press event. "We'll pop their web sites up on various screens, and suddenly they feel right at home, knowing that we've given this some thought," said Rosas. He also uses the projectors to edit original content for the Shop Studios network of seven free entertainment sites that now sell thousands of products through the newly launched Retail Sales Collection. Projectors connected to computers and cable TV are also set up in the facility's luxurious screening room called the Green Room. Shop Studios has taken the projectors on the road to offsite events such as kicking off a California Milk Processor Board ad campaign in Chicago and launching the latest season of the HBO series Entourage at a fabulous event on the Hamptons. Another event was Elle Magazine's gala reception for a museum exhibit on fashion through the ages at the Fashion Institute of Technology. Shop Studios also produced and designed a Victoria's Secret exhibit in the fountain at Caesar's Palace, hosted by model Gisele Bündchen. Projecting images is not a new endeavor for Rosas. As a boy growing up in northern California, he remembers shining a super-8 film projector through a window on the wall of the neighbor's house. "There was nothing like the enchantment of watching stop-gap animation or old family movie images on that blank wall," he said. He's taken that feeling of wonder with him to Shop Studios, where projected images are part of a day's work but never without that special thrill. Since he founded Shop Studios, the company has dramatically changed and grown to reflect the new world of communications. Shop Studios is now able to work its special magic more cost-effectively because the use of technology has resulted in more productivity and a better return on investment. "Nothing shows better how we've applied technology than our use of Epson projectors," said Rosas. "They are an integral part of what we do here at Shop Studios." Used with permission of Epson America, Inc.